Our hours are posted weekly check back for more times. Sat Nov 19: 2-5 p.m.
Tues Nov 22: 5-7:30 p.m. Wed Nov 23: 1-4 p.m.
Fri Nov 25: 11 a.m.-3 p.m. Sat Nov 26: 2-5 p.m.
Mon Nov 28: 6-8:30 p.m.
Nov 22nd 5-7:30 pm and Nov 28th 6-8 p.m. Artist Jo Ann Briseño was featured on Channel 12 news. See the story behind the “Happiness is…” exhibition. An all ages and abilities juried group art show about the joy within the child at heart. Artists investigate and explore the happiness they found as a child or within a child. Opening reception: November 11, 2016, 6–10 p.m. Please join the Millet House Gallery on November 11 for a very special evening that invites you to celebrate, appreciate, and include children with special needs. 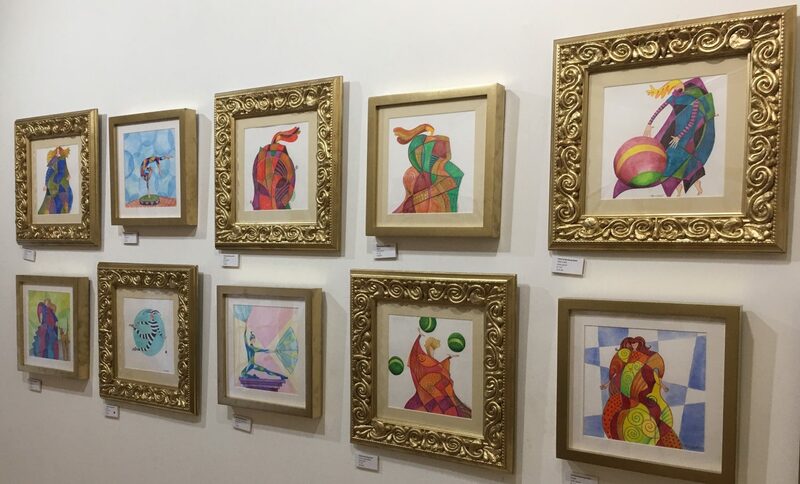 The evening marks the opening of an inspiring exhibition, “Happiness Is…,” featuring drawings artist Jo Ann Briseño has been putting in her daughter’s lunchbox since she began school four years ago. These joy-filled sketches depict the magical in the ordinary and at their core encourage imagination and exploration that spark curiosity in every child. The drawings’ whimsical nature beautifully illustrates how we are all more alike than different while documenting the milestones Jo Ann’s special needs daughter reaches. Every day can be a celebration if we want it to be. At 7:30, Amy Silverman will read from her new book, My Heart Can’t Even Believe It, a touching, heartfelt, and humorous account of her life as a mother of a child with Down Syndrome. Amy shares her evolution from self-absorbed to being more aware, more appreciative, and more accepting of others. Her story will move and amuse you. With his art, Sam Itza, Apache, focuses on preserving culture and carrying it into the next generations. This non-traditional Crown Dancer is an example. The young man in the carving perhaps came home from high school, played basketball for awhile, then grabbed some of his regalia – including the Crown, made of traditional Century Plant wood gathered in the mountains – and is ready to practice Crown Dancing. Artist Debbie Eloi works with stones and silver. 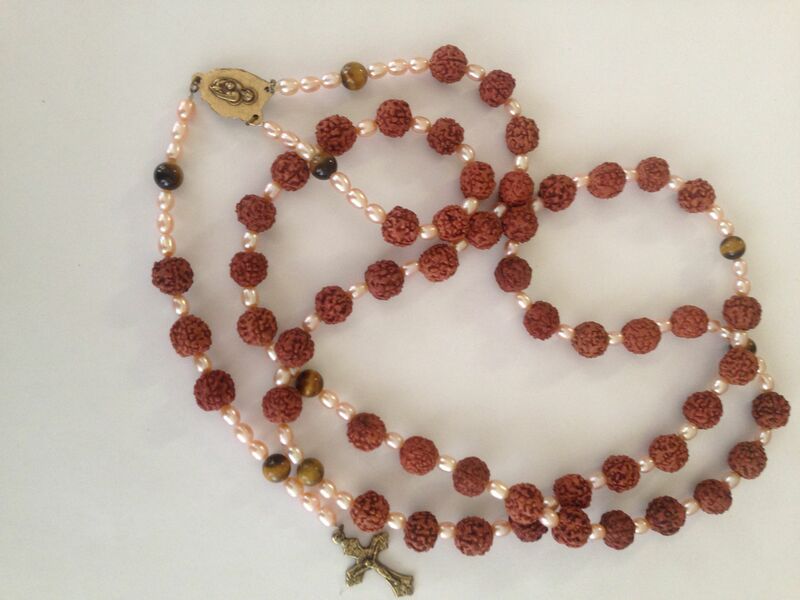 Recovering from an illness, she began making prayer beads from every faith and religion. 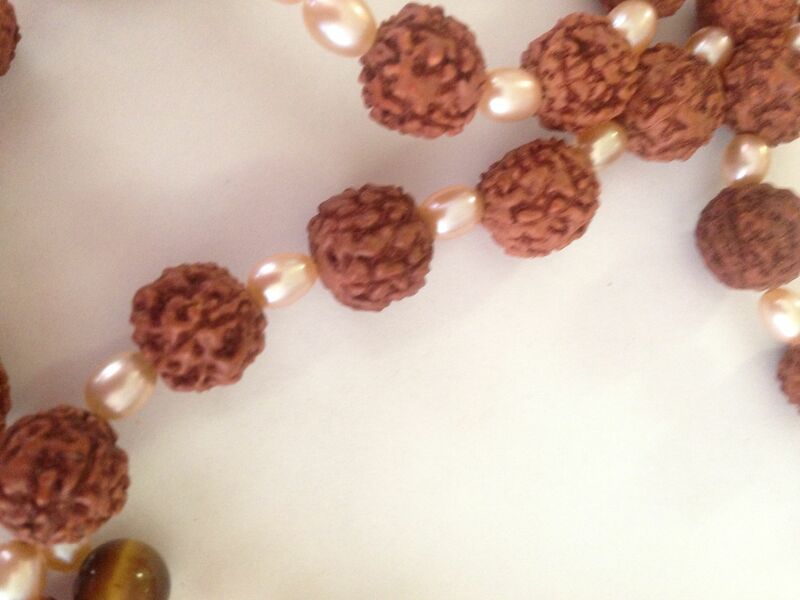 Here, a rosary of rudraksha beads, tiger eye and pearls. 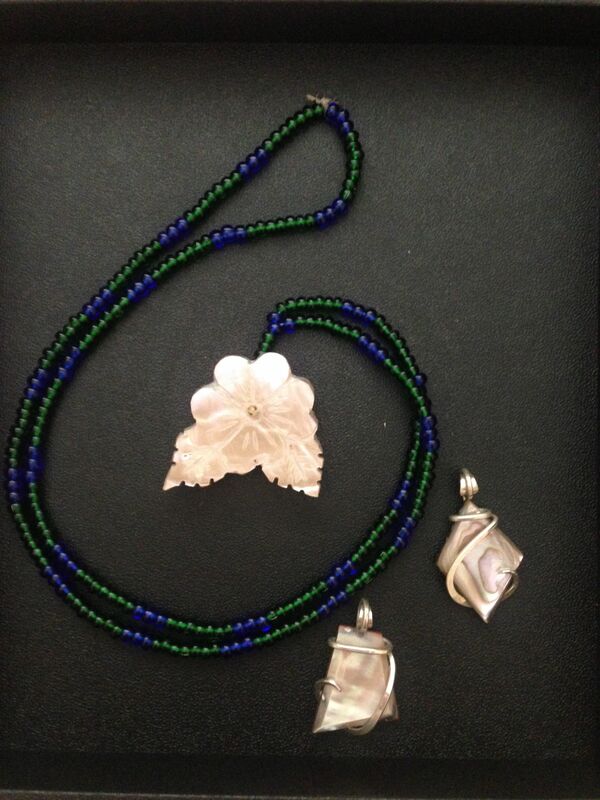 Above, Merced Maldonado’s hand-carved Yaqui rose pendant and beaded necklace, and Tim DeVore’s abalone pendants wrapped in sterling silver.